The woman’s handbag was stolen during the incident. The woman was waiting for her bus home to Meath. 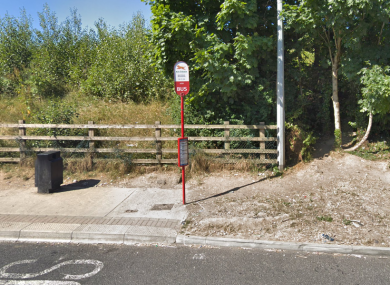 GARDAÍ AND TRANSPORT operators have been urged to address commuter safety at isolated bus stops after a young woman was stabbed while waiting for her bus home on Saturday evening. The incident occurred on the Blanchardstown slip road on Saturday at 7.45pm. A woman in her 20s who was waiting for her bus to Ratoath, Co Meath was approached by a male who threatened her at knifepoint. He took her handbag and she received a knife wound to her hand in the struggle. Gardaí said her injuries are minor. No arrests have been made and the investigation is ongoing. Fianna Fáil local area representative Deirdre Geraghty-Smith said concerns had already been raised about this bus stop in recent months. “It is isolated, in darkness and people awaiting buses are extremely vulnerable to opportunistic attacks,” she said. Geraghty-Smith said the bus stop should be moved to a “safer, more central location” and all stops should be reviewed to ensure they are appropriately lit. Email “Woman stabbed at 'isolated, unlit' Dublin bus stop ”. Feedback on “Woman stabbed at 'isolated, unlit' Dublin bus stop ”.